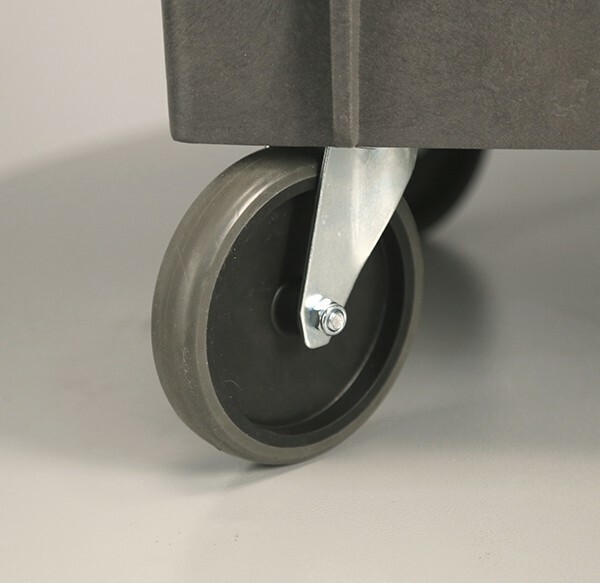 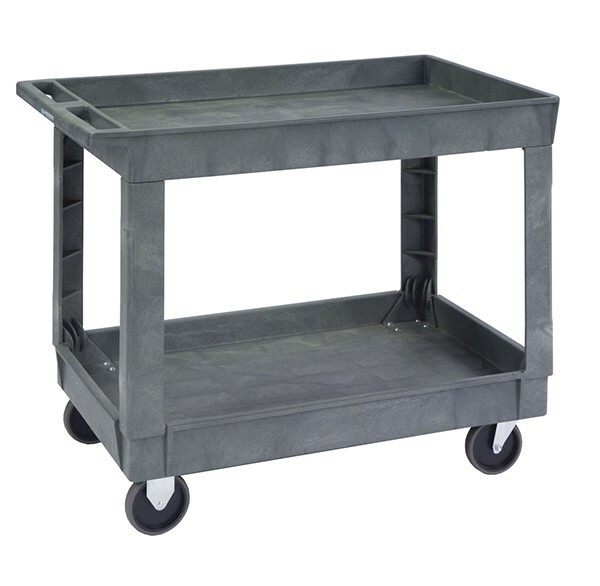 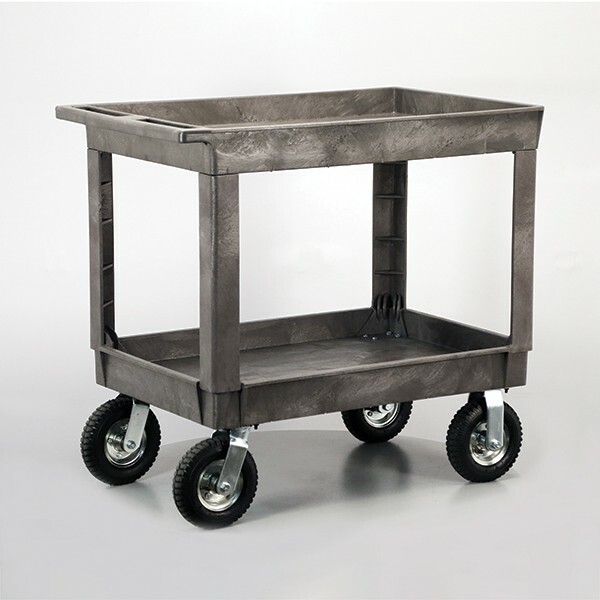 Keep supplies safely on board with this rugged load mover. 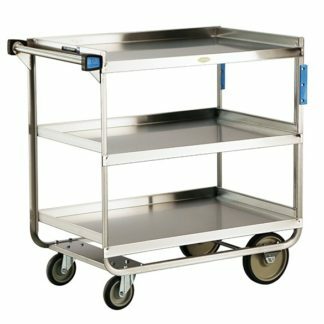 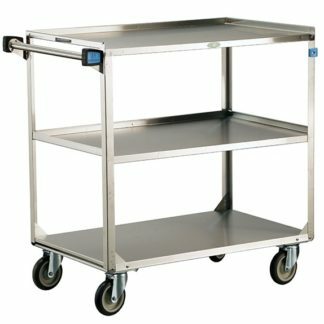 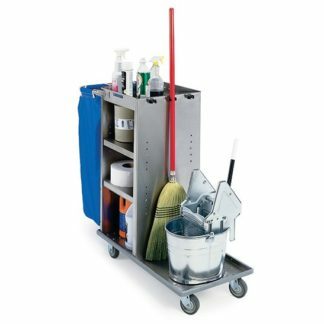 2 shelf plastic carts, with 3″ protective edges on all four sides keeps shelf contents contained, 5″ non-marking casters (2 swivel, 2 fixed). 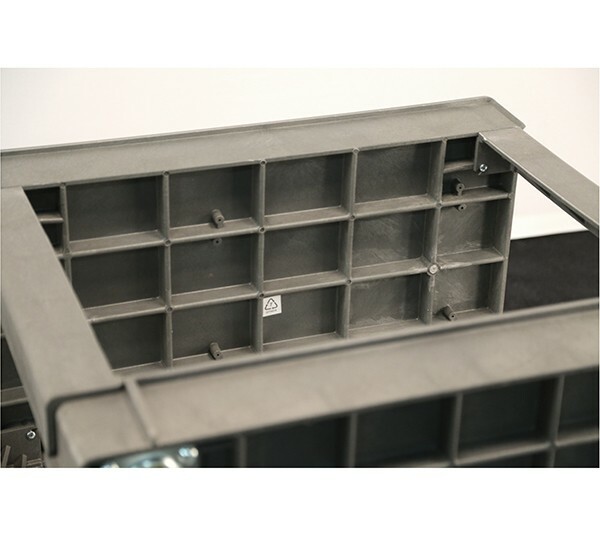 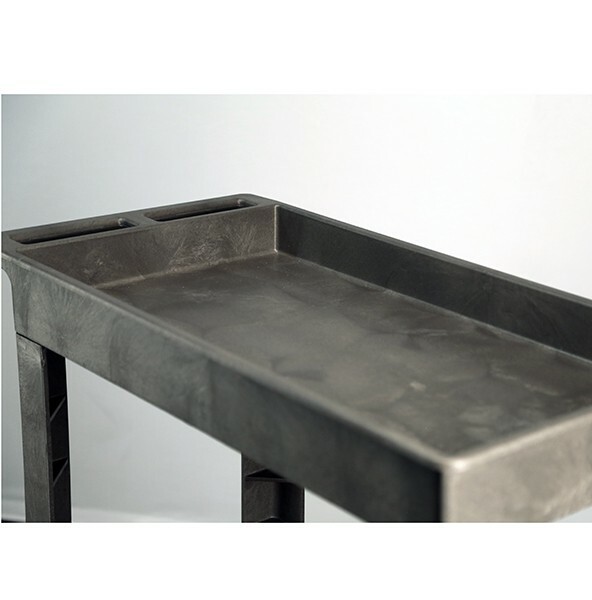 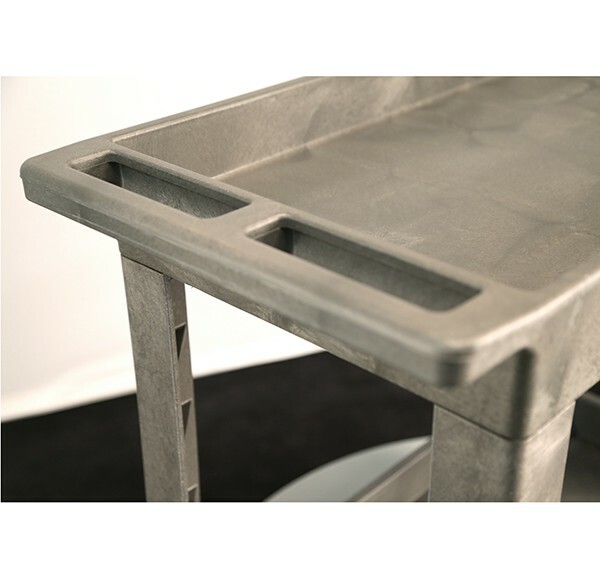 Durable structural foam plastic shelves and legs. 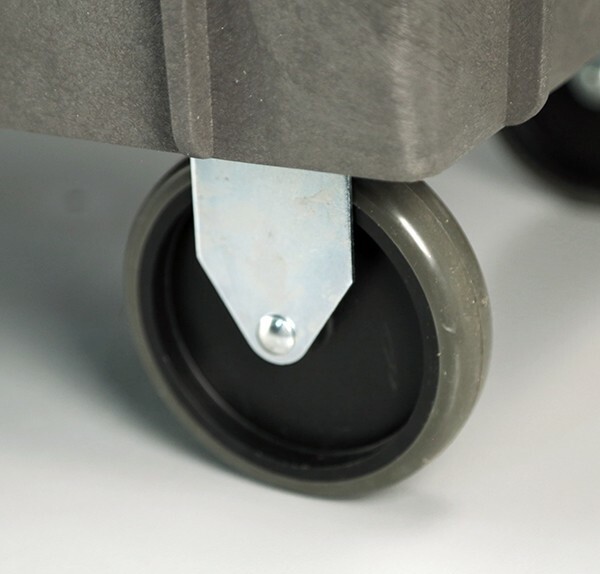 Integrated push handle.